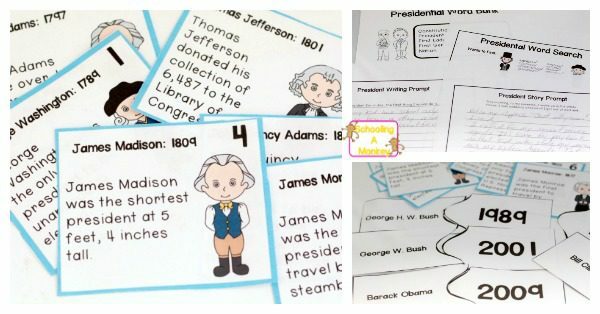 Kids in 3rd-5th grade will love learning about the presidents with these president worksheets! 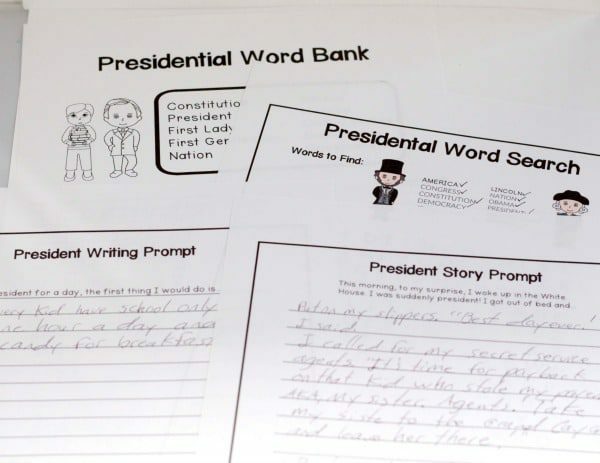 Kids will boost language arts skills and history together in a presidential thematic unit. My daughter, Monkey, in fifth grade this year, is starting to become interested in United States history. She loves facts, and although science facts are her true love, she has also moved on to enjoying history facts as well. I made this pack of president worksheets so she could learn a little more about our presidents. 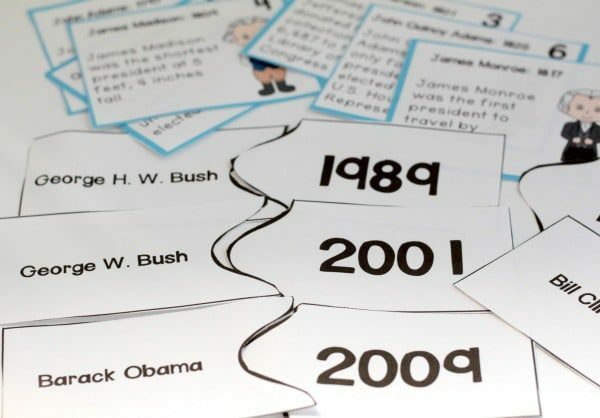 This printable pack would be perfect to do on President’s Day! I may have gone a little crazy because there are 25 pages in our printable pack. 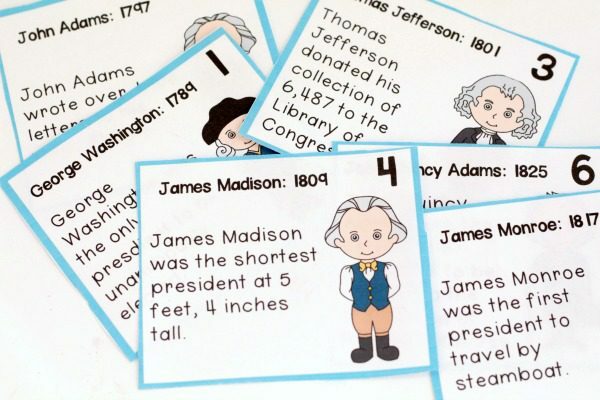 I wanted to include everything necessary for a little president unit study so that if you wanted, you could spend most of the day on the worksheets, or, do one activity a day leading up to President’s Day. Get the president worksheets here! 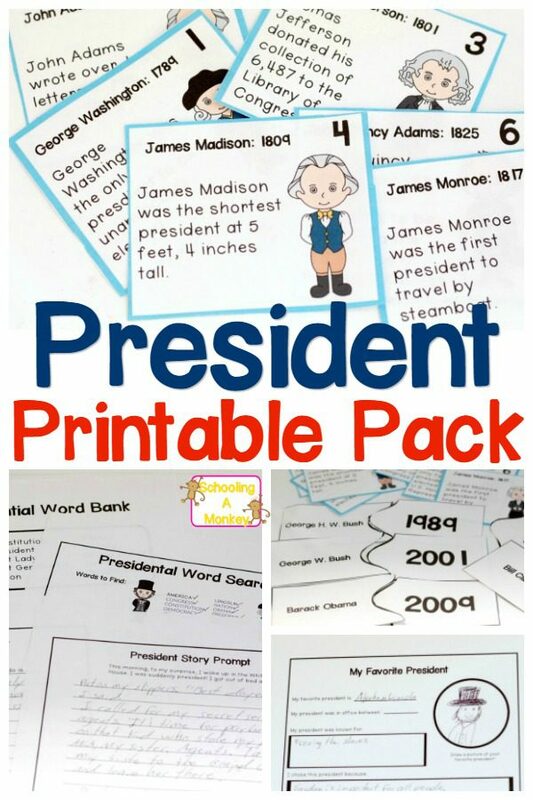 We decided to just use this president printable pack as our President’s Day mini unit study. There are elements of history and language arts in them. Monkey really loved the president fact trading cards the most. It took us about two hours to get through all the activities. Monkey had a blast with them, even though typically, she isn’t terribly fond of worksheets.